What is your favorite event or tradition in your congregation?? 3. The ability to sustain themselves through challenges that arise. Groupness doesn't just happen. It takes at least 17 continuous hours - with the same people, doing things together - to achieve groupness. The good news - the hours don't have to be contiguous, meaning one right after the other. But think about that. When is the last time you have had the same confirmation students show up for class 17 hours in a row? For Sunday school? For adult Bible studies? For youth board or council meetings? Enter the power of retreats. Camps. Lock-ins. Mission Trips. There are many reasons these are powerful experiences, and one of those is they meet the magical 17 hours needed for a group to start functioning as a group and with purpose. As you plan for this coming year, how can you include opportunities for your groups to get 17 continuous hours, so you can move beyond surface conversations and activities to deeper faith formation? For the full video of his lecture that includes information on groupness, click here. I also highly recommend checking out the Youth Ministry Initiative YouTube channel. Cardia Deo is a retreat for high school youth in grades 9-12 and their adult leaders. As Christians, we are Called, Gathered, Equipped and Sent to be the Heart of God (Cardia Deo) in the world. Bible studies led by the LYO Board, servant learning, worship, mystery event, camp life, and an adult track led by the retreat chaplain all make this event a deeply meaningful, fun and faith-nurturing event. 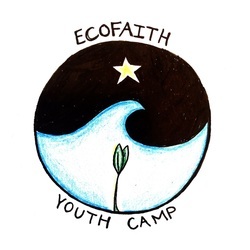 The EcoFaith Youth Camp. This week long day camp will begin on Sunday, June 26 and will end on Thursday, June 30. Our week will be spent exploring our role as God's people and understanding our call to care for all of God's creation and people. Throughout the week we will be in conversations with local indigenous communities and local farmers, learn the history and story of the St. Louis River, and explore the complexities of our food systems. Our week will also involve one night of camping, a morning of canoeing, and time to learn, play, and grow together! God's story in scripture is the story of crossing borders and breaking through boundaries in order to bring new life. The presidential election process has created a lot of conversation around borders, immigrants, refugees, and who is in and who is out. The Discipleship Challenge Study Guide, "Story of Scripture" would be a helpful resource for leading conversations on this topic with your youth or other groups. The Extravaganza is the premier renewal, education and networking event of the ELCA for leaders in children, youth and family ministry. It is for the professional and the volunteer. It is for the old and the young. It is for the urban, the suburban and the rural. It is for pastors, it is for laypeople. It is for all who share in the adventure we call youth and family ministry. Register now!